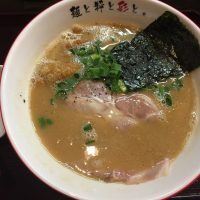 Local tells Top 7 best Things to do in Tokyo at Night! Tokyo is a city that never sleep. 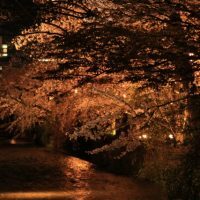 There are traditional and modern bars open till dawn, great restaurants with a spectacular view, romantic quiet spots that will offer the “only in Tokyo” views and experiences. Tokyo evenings can offer everyone something. But here are top 7 you cannot miss! Skytree is the new tower in Tokyo with the height of 634m. The night views from this tower simply is beyond your imagination. You can see the panoramic view of Tokyo nightline, Mt. FUJI, amazing stars, and the moon if the weather cooperates. There are two observation decks at the different heights. On the 350th floor is the Tembo deck located 350m above the ground. You can enjoy the spectacular view of the city. From the 350th floor, if you take another elevator, on the 450th floor there is the Tembo galleria which is located at 445 to 450m, the highest observation point being open to the public. With the curved windows, it’s like you can actually see the sky above your head. The entrance to Tembo deck is ¥2,030 and the entrance to the Tembo galleria is additional ¥1,030. The ticket booth on the 4th floor gives you a detailed information on the viewing condition so check that out before you purchase your tickets. Odaiba is the big shopping entertainment area built on the reclaimed land. Now this is a very popular spot for the youths and tourists. The illuminations at night is nice and Rainbow Bridge, which connects Odaiba and the mainland, looks amazing from restaurants and parks of Odaiba. The best spot to view the romantically illuminated Rainbow Bridge is from the Ferris Wheel in Pallet town. The admission is ¥1,000 but it takes you up to 110m up in the air. The views of the city are so amazing at night. You can see Tokyo Tower, Skytree, Rainbow Bridge and others. The nearest station to the Pallet town is Tokyo Teleport Station on Rinkai line or Aomi Station on Yurikamome line. For those preferring traditional night views, how about visiting the oldest temple in Tokyo? Senso-ji temple, its main hall, pagoda and the magnificent Kaminarimon gate, is illuminated until 23:00. 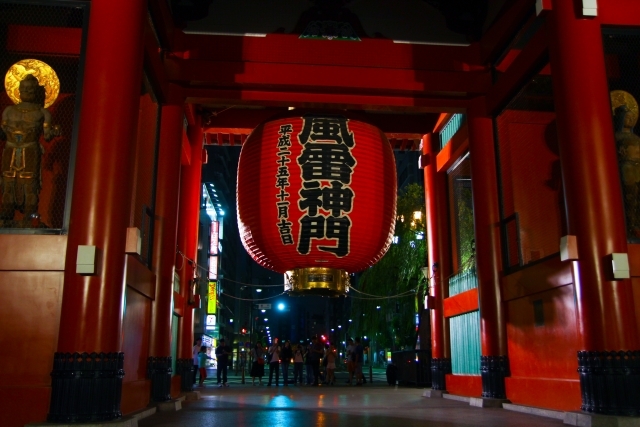 Kaminarimon, which became the symbol of Asakusa, is beautifully lit and the red gate and lanterns look more powerful than during the daytime. You can even see the illuminated Skytree. A shot of modern Skytree along with a traditional pagoda is an interesting photo that is possible only in Tokyo. This is a great place for a slow stroll since there are many food stalls, restaurants, souvenir shops nearby. 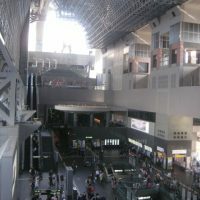 In order to get there, take Tsukuba line to Asakusa station. Next,let’s Go to the Aquarium in Tokyo! This is an aquarium you can visit at night. Aqua Park is usually open until 10pm and they have a great night show. They cleverly combine lights, music, water and aqua marine life to create a unique and magical environment. They offer great aqua shows that even adults will enjoy. 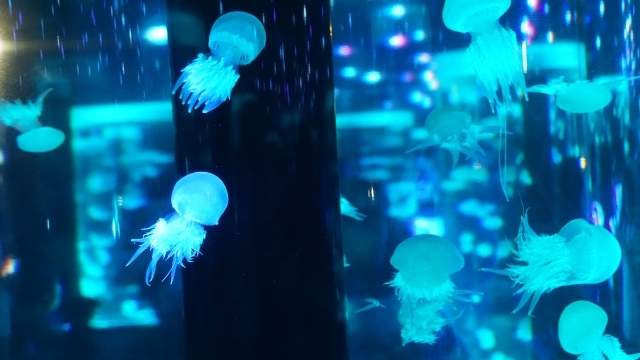 Don’t miss the illuminated jelly tanks. They are so magical and romantic. This will be a memorable experience for you. It is possible also for you to visit the aquarium during the day time and come back at night as well. Aqua Park is located right behind Shinagawa Prince Hotel, up the hills from Shinagawa Station. Roppongi Hills is a commercial tower, an urban symbol of the Tokyo Metropolis. At the entrance to its Museum, there is an Observatory with a panoramic view of Tokyo and beyond. In a sense, it is designed to be arts illustrating the beauties of Tokyo skyline. It is recommended that you visit during the sunset and stay on to enjoy the dusk and night views. The observatory is at 250m and the entrance is ¥1,800. Robot restaurant has been one of the most popular tourist spots in Japan recently. 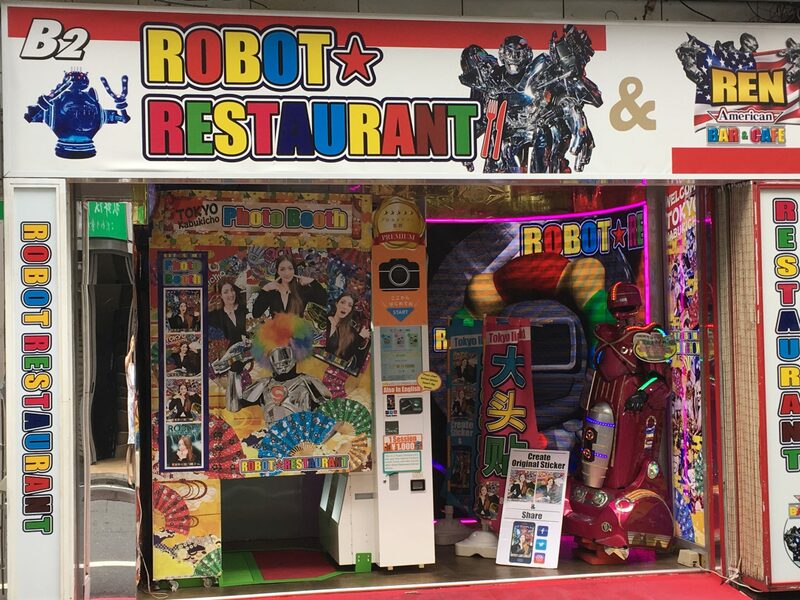 Located in the red light district of Kabukicho, Robot restaurant is a exciting place full of neonlight and an entertaining show by robots and entertainers. 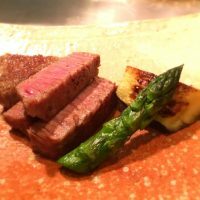 The reservation is a must. 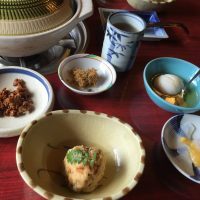 An Izakaya, or a local Japanese bar, is the best place to experience the local culture. 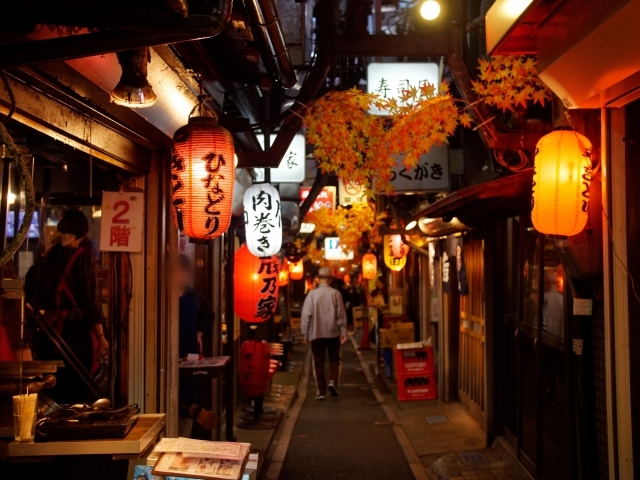 You will get to see how the locals wind down and will get to taste the best of drinks and food that Japan offers. 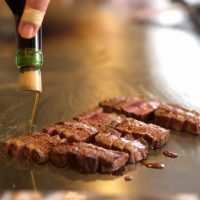 There are various characteristics of izakaya so definitely you would want to try izakaya hopping. 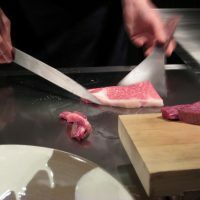 One challenge is that many of the izakaya don’t have an English menu and most of the communications are in Japanese. 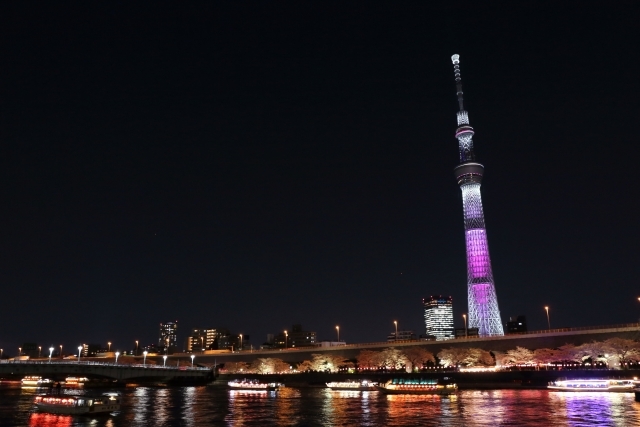 Tokyo Skytree・・・The night views from this tower simply is beyond your imagination. 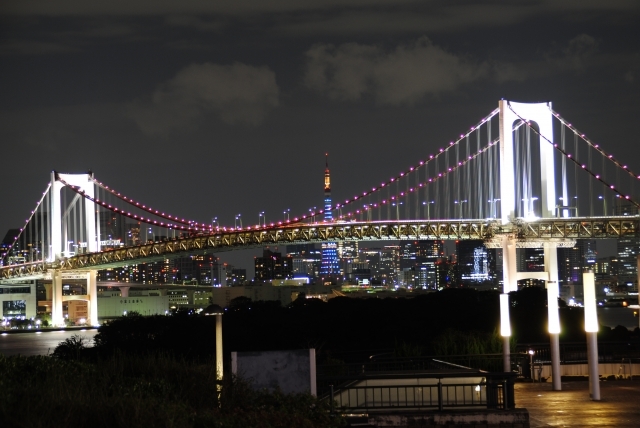 Rainbow Bridge at Odaiba・・・Odaiba is the big shopping entertainment area built on the reclaimed land. Kaminarimon Gate in Asakusa・・・Kaminarimon, which became the symbol of Asakusa, is beautifully lit and the red gate and lanterns look more powerful than during the daytime. Maxell Aqua Park, Shinagawa・・・They cleverly combine lights, music, water and aqua marine life to create a unique and magical environment. 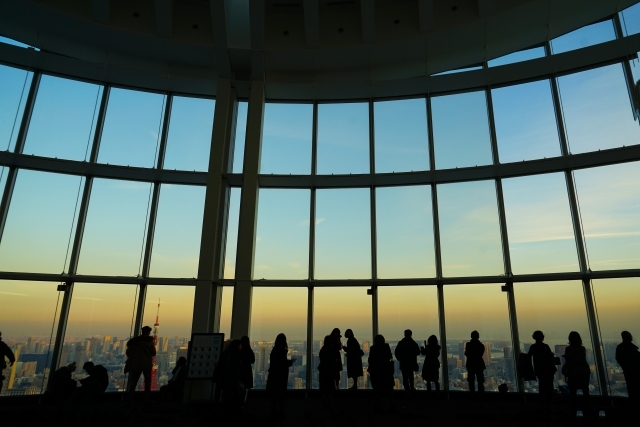 Tokyo City View Observation Deck-Roppongi Hills・・・Roppongi Hills is a commercial tower, an urban symbol of the Tokyo Metropolis. Shinjuku Robot Restaurant・・・Located in the red light district of Kabukicho, Robot restaurant is a exciting place full of neonlight and an entertaining show by robots and entertainers. 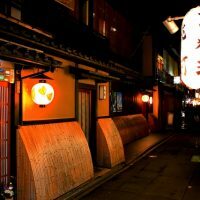 Izakaya Hopping・・・An Izakaya, or a local Japanese bar, is the best place to experience the local culture. 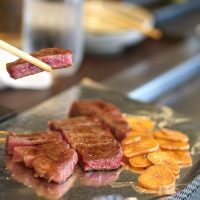 There are a variety of unique food tours in Tokyo. Preserving its traditional appearance and beauty. 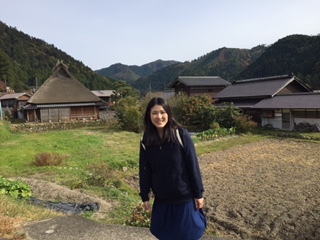 Find out what this town has to offer and while at it, enjoy your time at a traditional Sento (Japanese Bath House). 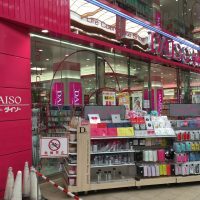 Our local guide will take you to the longest local shopping street in Tokyo! 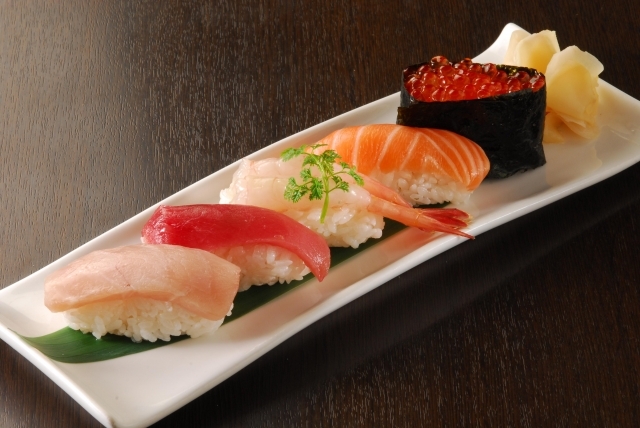 Your friendly guide will bring you to the beautiful and clean Japanese restaurants. 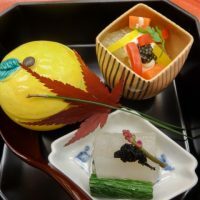 Enjoy Japanese food and drinks in restaurants of central Tokyo you might not find on your own on this bar food tour! Our local guide will take you to the karaoke bar that is known for their customer satisfaction record in Japan! If you like music, you will have so much fun with our amazing guide on this karaoke tour!